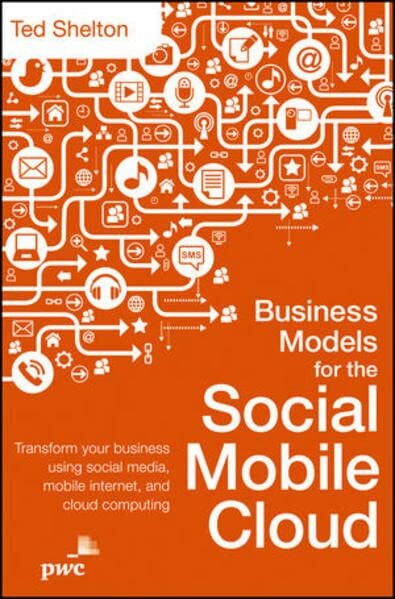 [PDF] Business Models for the Social Mobile Cloud: Transform Your Business Using Social Media, Mobile Internet, and Cloud Computing | Free eBooks Download - EBOOKEE! Description: Fully exploit new conditions and opportunities created by current technological changes The combined impact of social technologies, the mobile Internet, and cloud computing are creating incredible new business opportunities. They are also destroying unprepared companies, transforming industries, and leaving behind workers who are unwilling or unable to adapt. Business Models for the Social Mobile Cloud reveals a compelling view from PwC of how the social mobile cloud and a combination of new technology changes are key players in a digital transformation in business and society that is moving more quickly and cutting more deeply than any technology transformation ever seen. Explores a road map to success through adapting to technological changes Written for businesses and leaders who want to understand how the coming technology changes will eventually impact their businesses For companies to succeed, leaders must understand how to stay ahead of their competitors in adapting to the new conditions and opportunities. In Business Models for the Social Mobile Cloud, PwCâ€™s Ted Shelton describes the tectonic changes currently underwayâ€”and to comeâ€”plus why they are happening, what to expect, and what you must do about. No comments for "[PDF] Business Models for the Social Mobile Cloud: Transform Your Business Using Social Media, Mobile Internet, and Cloud Computing".